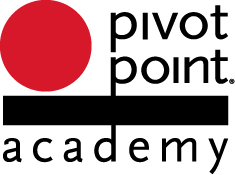 The brand new Pivot Point Academy Hairdressing Salon in Waterloo fits right in with its young professional neighbourhood. On a polished concrete floor, in a refurbished mechanic's garage, the salon houses a total of 25 chairs, 3 wash basins and is abuzz Monday through Friday with clientele. We stock only top shelf products and offer a full LA BIOSTHETIQUE retail range. Buoyed by the artistic atmosphere, students stylists put into practice their craft under close supervision of their mentors. Our holistic approach to beauty and dedication to customer service means that our each of our guests recieves an exceptional salon exoperience at an affordable price. Ladies and Mens' cutting and colour specialists, Revlon Professional Colour Salon, Great Lengths 100% Human Hair extensions certified salon, Kevin Murphy range of products. Check out our great colour/cut combo specials and our great cut and style combo packages.